This Bernie Beagle is the cutest! Made by Douglas Cuddle Toy. 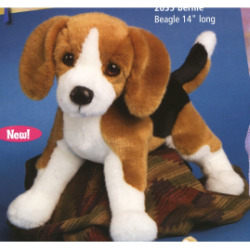 This Bernie Beagle is brown and white with the cutest eyes longing to be held! A great new friend of anyone to enjoy.